Very detailed hand painted medium modern ceramic Christmas pine tree with a tree trunk base. Very high quality - painted to last. 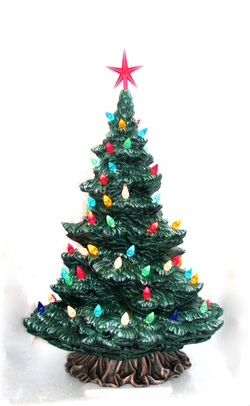 Tree tips are lightly brushed with glitter to give a slight twinkling effect. Comes with electric kit, birds or bulbs and star. Colour of star may vary. Extra birds or bulbs will be included in case of loss. Option to also have Christmas bulbs instead of birds -please specify in your order if you would prefer bulbs or birds. 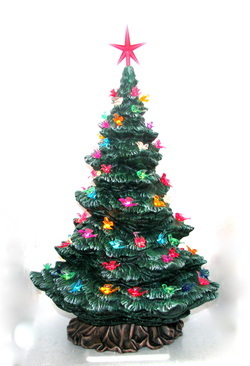 Easy to assemble - the birds and star are delicate and so we provide them separate in the box, just use a glue that dries clear to assemble your tree. 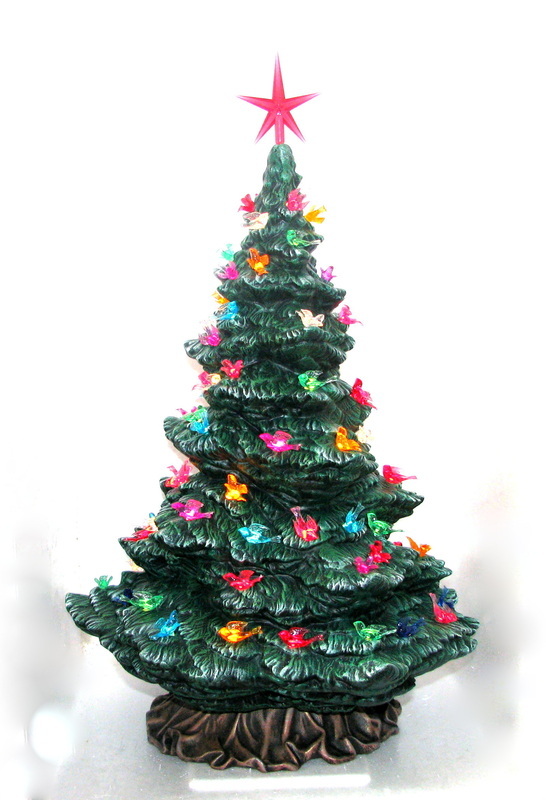 This insures that your beautiful tree arrives to you completely intact with no broken birds/star. The base is designed for the electric kit - inserts easily. Also popular as a wedding gift. 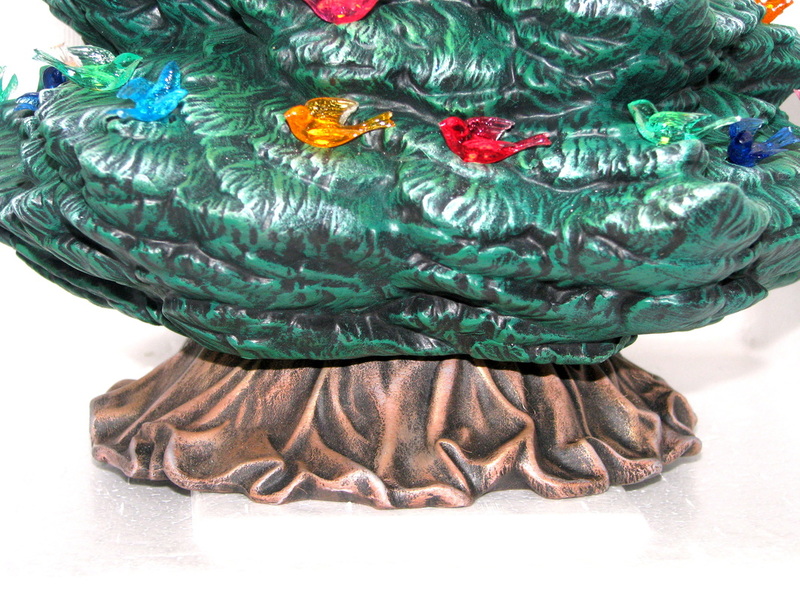 **This item is extremely popular for the Holiday season. I hand make it in my shop: we pour the mold, sand the item of any imperfections, and then fire in one of our studio's kilns. Finally I paint the tree using a drybrushing technique, which results in a very detailed look. 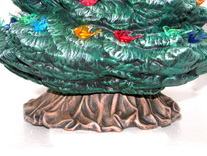 The tips of the branches are brushed with glitter to give the appearance of twinkling.